Wish list: traveling…. Are we up to something – so parislux ! 5/Hawaii, thanks to Jessica Doffelmeyer’s blog and pictures! A note for myself 1/2/3 can be planed in one trip! As usual! And, yes it is tiring specially with 3 kids, but worth it and never long enough! 6/from 5 weeks on, Amsterdam to meet little baby V.
7/Normandy to meet princess Sarah. 8/ Bordeaux France to meet the super Tweens and see their glorious parents, and because Bordeaux is a great place to be. I wished for a life of traveling and I received more than I wished for our life is traveling! 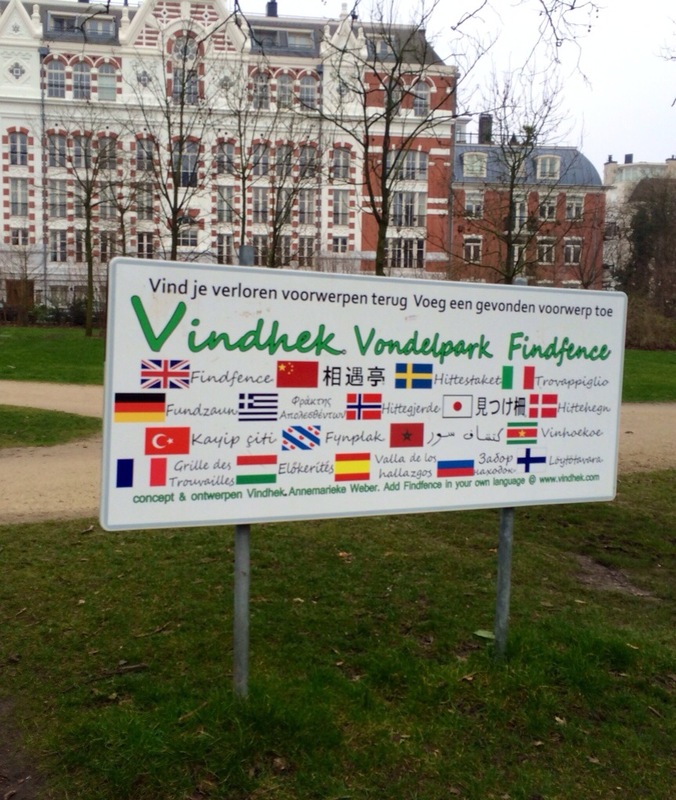 We are just back from week in Holland ! A mix of work and school holidays, driven by my 3 Wild kids and our dogs! This week was breathless…and yet I think ahead! Sometimes, I can’t stand traveling anymore, and after more than 4 weeks or 5, I start feeling the thirst of it again! When it’s to much I stop for 2 months and try to resource myself in Luxembourg. Tonight I am happy to be back, normally going again is Paris next week end and for us( kids and puppy) not moving until 4 April…ouf… husbany, brief breathing and many traveling in between…. P.S. : traveling include, children, husband and dog ( most of the time). And he’s a great traveler. Only issue, will be USA but we found a super cosy pension, and some country like Australia or New Zealand that ask to long quarantine to bring him along… But wherever he can come he will…. 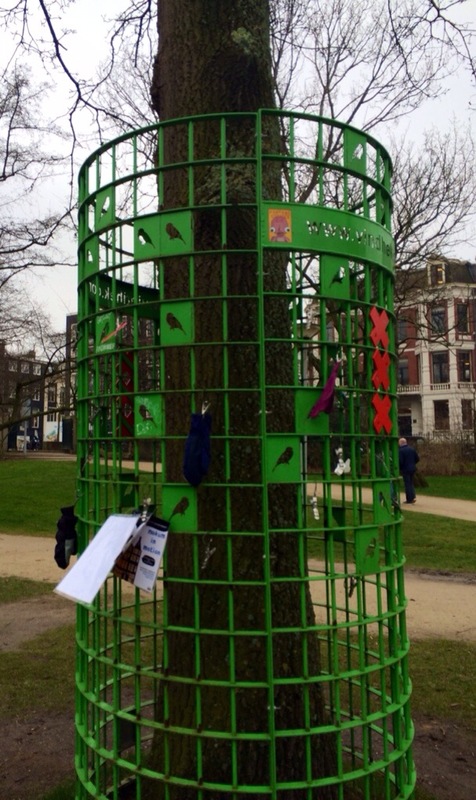 As it is nice to have some images, you can admire this great idea: a lost and found object’s fence in the Vondel Park in Amsterdam. I just love this idea! Come one, are you ever going to search for a lost glove in the list and found on a city? For example in Paris you have a huge one, but in from my 0 to 24 years old, when I was living there, I have never even attempted taking the time to go there and look up for something… I know it’s an absurd example but it explain it all. I too love Jessica’s blog! Reading yours left me breathless….hope you get to fulfil those travel dreams….not doing bad so far! Thanks for your words and encouragement. took me a minute to understand, as my name is also Jessica. Hopeje makes it easier not to mix. She is amazing at showing what she sees, either though photo or writing…. I’m tired just reading this god knows where you will find the stamina but we wish you luck and have fun. I fill tired at the though of it as well.